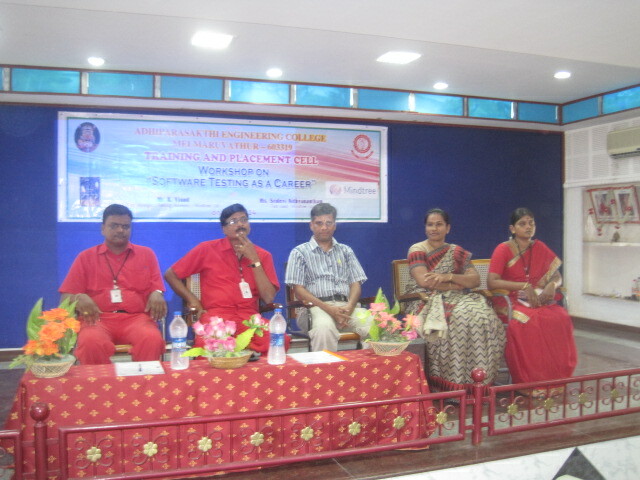 The Training and Placement Cell of Adhiparasakthi Engineering College, has organized a workshop on “Software Testing as a Career”. The workshop started at 10 am on 25.07.2014. Mr. K. Vinod, Test Manager, Testing Academy, Mindtree Ltd. and Ms. Sridevi Nithyanantham, Test Lead, Mindtree Ltd. have shared their knowledge to our students.